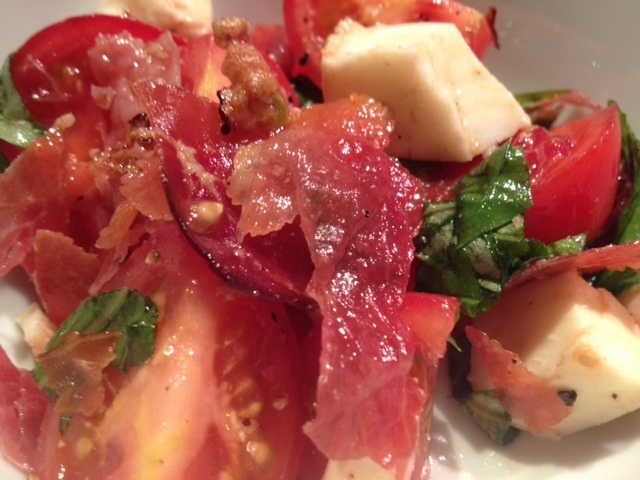 Tomato, Basil, Mozzarella & Crispy Prosciutto Salad. 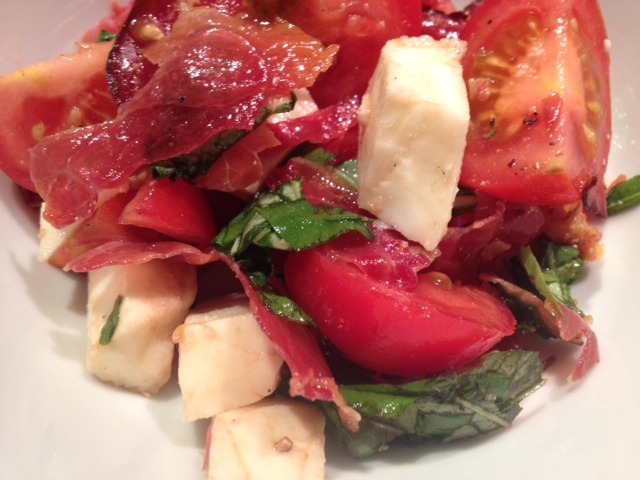 This salad has all the ingredients of a classic caprese salad, but the crispy prosciutto adds a bit of a twist! 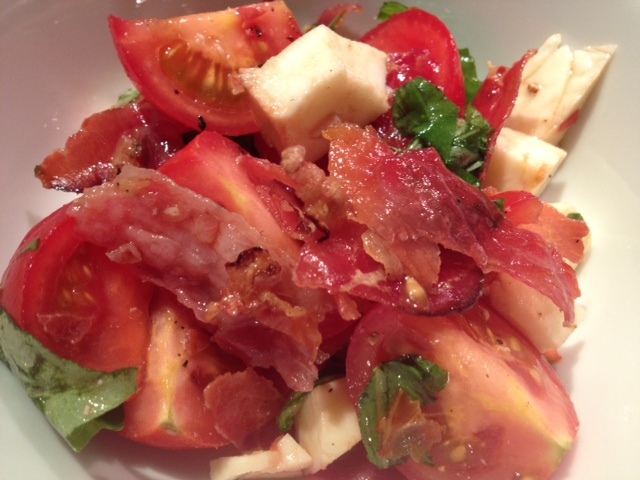 With the addition of prosciutto, you don’t need to add any oil or salt to the salad- it’s really flavorful and adds all the oil/salt you need. The flavors are delicious and it’s fast and easy to make. 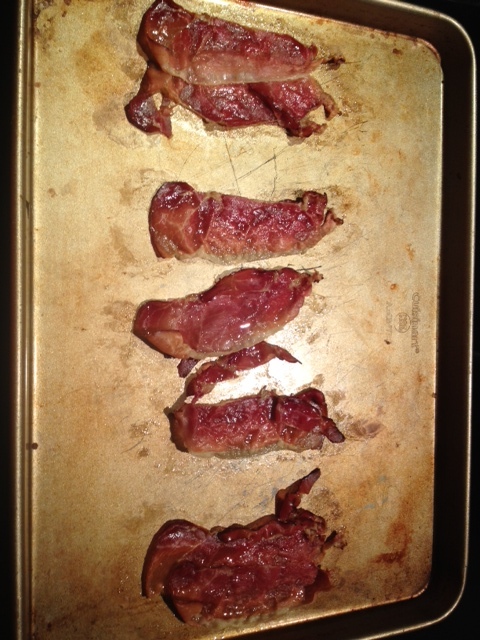 Place the prosciutto on a baking sheet in a 400 degree oven for about 10 minutes, or until it’s nice and crispy, but not burned. 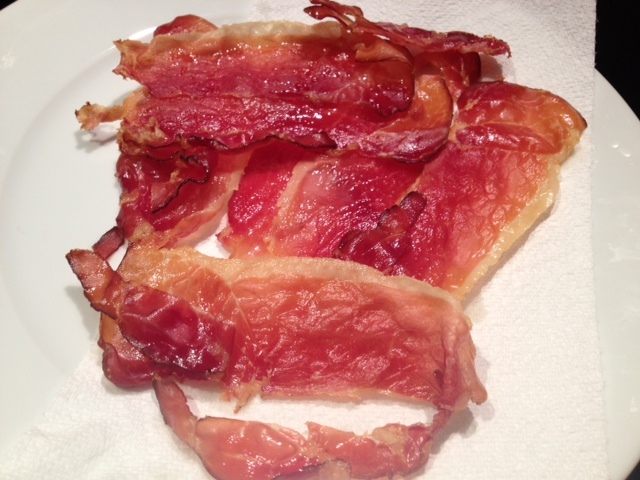 After you remove it from the oven, allow it to cool on a piece of paper towel to drain any excess oil. 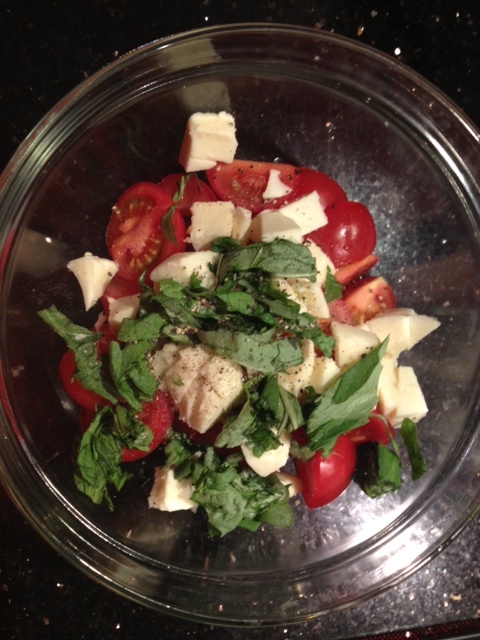 Add the tomatoes, basil and mozzarella into a mixing bowl with a dash of black pepper. Once the prosciutto is at room temperature, use your hands to break it into small pieces. 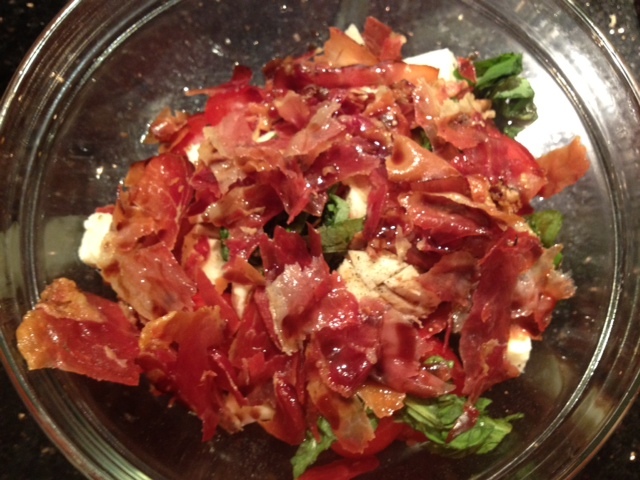 Add the pieces of prosciutto to the mixing bowl and add in the balsamic vinegar. Toss well to combine.